In 2009, the EPA reported that 9.9 million tons of household waste was made up of discarded furniture, a number that has only grown in the past 6 years. 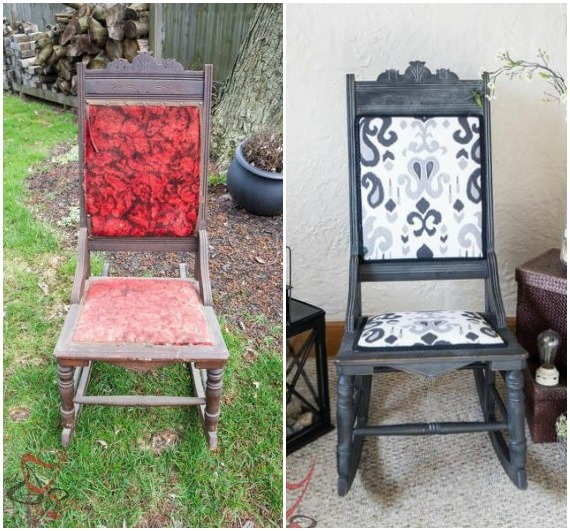 But what most people see as trash, these 9 DIYers see as raw material. 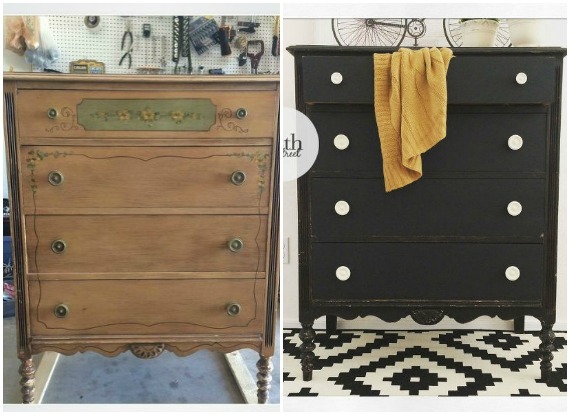 We knew you wouldn't believe the flips if we told you, so here are the before and afters to prove that real DIY dreamers can turn a piece of trash into treasure. With the cushions in rags and the wood splintering on all sides, this old rocker needed a little love. What it got though, was nothing short of magic! 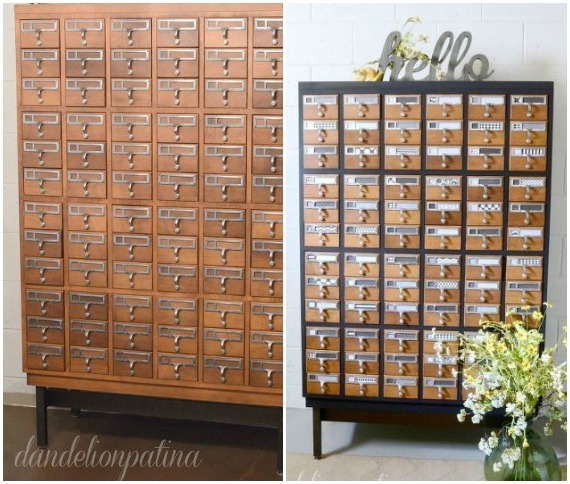 Anyone who finds an ancient card catalog like this would be happy enough to accept it as is, scratches and all. Not this adventurous blogger though - she gave it a one of a kind modern twist! 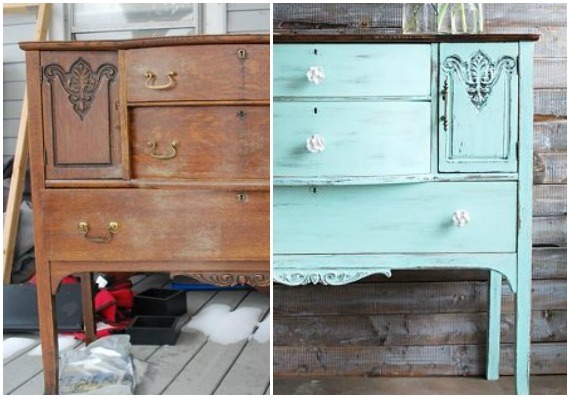 This gorgeous buffet had been sitting on her porch for months and the top was a hot mess. With a chalky coat of bright paint, it's even better than new. 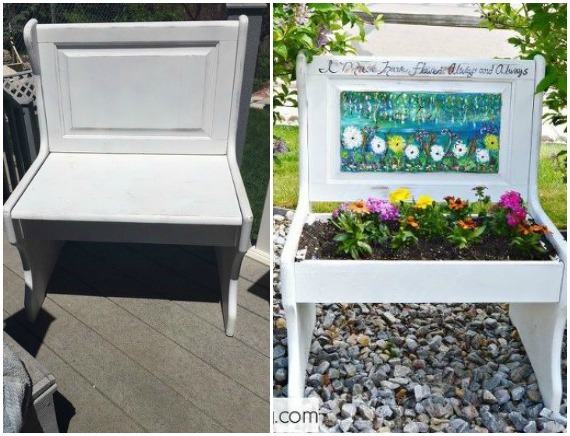 With expert painting skills, this DIYer turned a small, plain bench into a beautiful summer planter, perfect for displaying her favorite blooms in the flower bed. 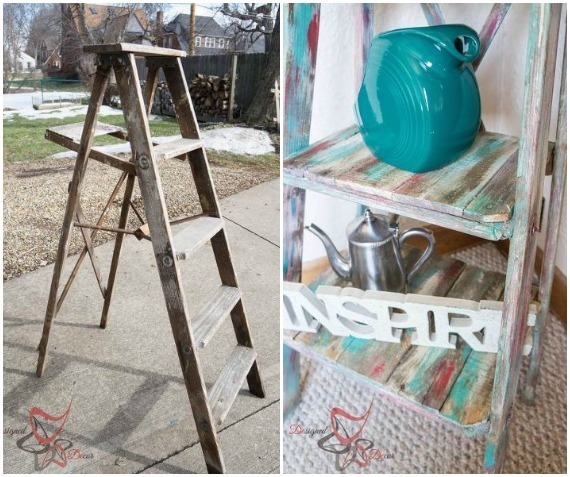 When this designer found an old paint ladder at a garage sale for $5, she snatched it right up, and added a vibrant coastal display shelf to her porch. 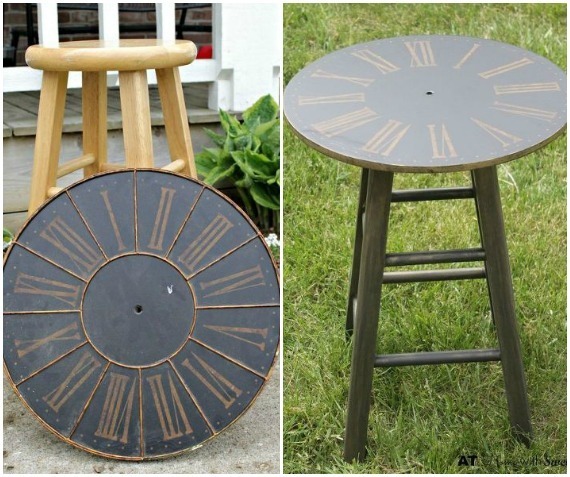 With a large clock face and an unused stool, this thrifty crafter created a great conversation piece and an amazing looking table. This vintage dresser, which looked absolutely ancient, got a bold facelift with milk paint, and became the perfect mix of modern and heirloom. 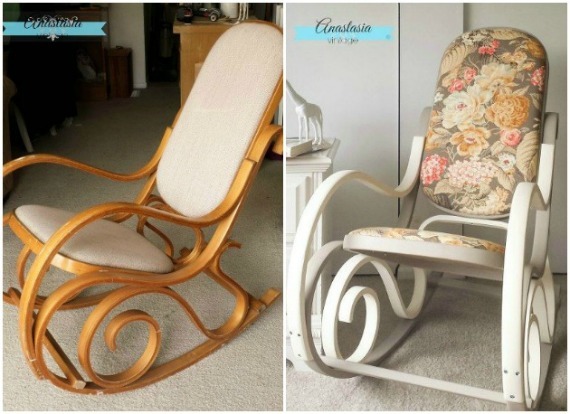 This chair's wooden frame was already beautiful, but with a refreshing coat of paint and some gorgeous floral fabric, a thrift store rocker became a statement nursery piece. Sometimes paint or stain won't cut it, but that doesn't stop a motivated DIYer. 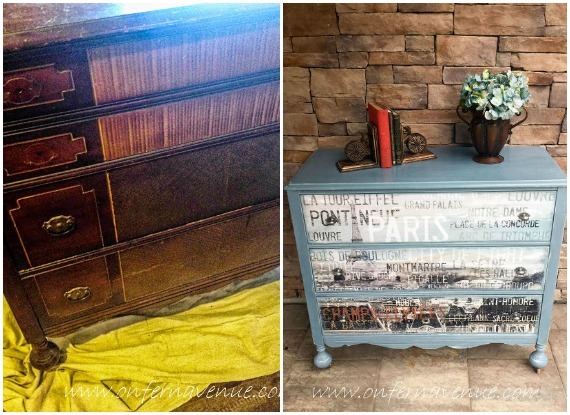 This dresser was transformed into a French style piece, with a charming decal made from a French poster. For more amazing flips, check out our Furniture Flipping page on Hometalk!